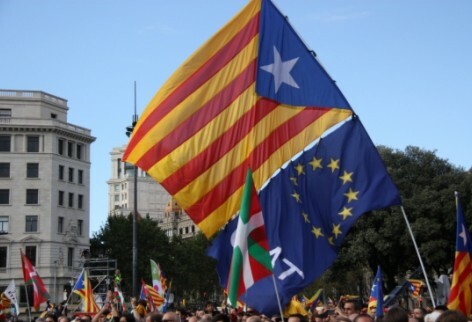 Barcelona (ACN).- According to a poll issued on Tuesday by the Centre of Opinion Studies (CEO), run by the Catalan Government, 59.7% of Catalans would agree with Catalonia becoming “a new European State”; 29.7% would be against this idea and 6.8% “do not know”. Furthermore, 87.3% of the interviewees affirm they would accept the result of a self-determination referendum while 9.3% state they would not accept it. Furthermore, 74% of Catalans believe that the best way to decide on Catalonia’s political future and its relationship with Spain is through a referendum, while 21.7% think the opposite. The survey was conducted between the 4th and the 17th of December, partially coinciding with the last days of negotiations among parties supporting self-determination to reach an agreement on a question wording and date to organise a consultation vote on Catalonia’s independence from Spain. 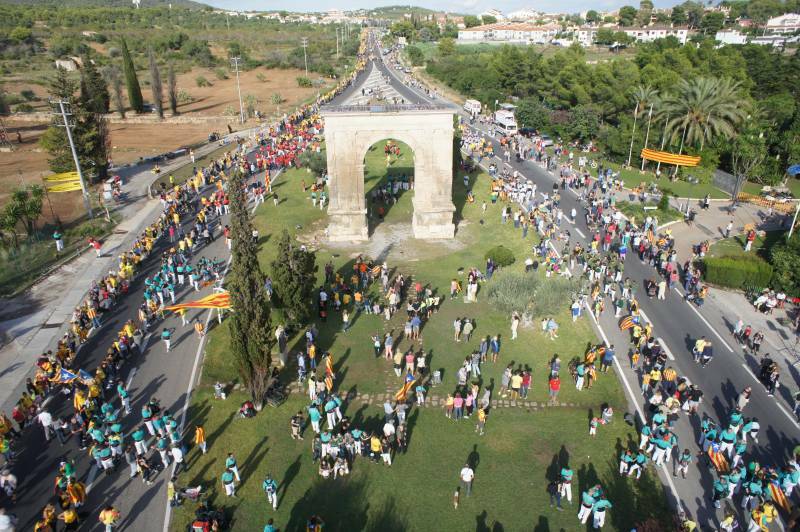 1,600 people throughout Catalonia were interviewed for the poll. According to the CEO poll published today with data from December 2013, a wide majority of Catalans would support independence if Catalonia stays within the European Union. 59.7% of the interviewees would back Catalonia “becoming a new European State” within the next few years”. Specifically, 40.2% of the interviewees “totally agree” with the idea, 19.5% of the interviewees “tend to agree”, 10.8% “tend to disagree” and 18.9% “totally disagree”, while 6.8% “do not know” and 3.9% “do not answer”. When asked to grade from 0 to 10 “the intensity felt” at the idea of Catalonia becoming a new European State, 30.1% of the interviewees said they were feeling “zero” intensity. 15.0% were feeling an intensity of 5, while 8.4% were feeling an intensity of 10, 7.7% an intensity of 7 and 7.2% an intensity of 8. Summing the different groups, 30% of the interviewees felt an intensity between 6 and 10, while 51.4% felt an intensity between 0 and 4. Regarding the nature of the feelings aroused by the idea of Catalonia becoming a new European State, 43% of the interviewees were feeling significant “uncertainty”, ranking the intensity of this feeling between 6 and 10. 20.4% of the interviewees attributed a 5 to it, while 32.2% felt scarce “uncertainty”, ranking their feelings between 0 and 4. 4.5% did not know or did not answer. 58.7% are quite or very “excited” about Catalonia becoming a new European State, with 26.7% of the total interviewees grading their “excitement” with a 10. Meanwhile, 9.9% marked their excitement with a 5. Additionally, 28.3% are scarcely or not excited at all, with 17.2% ranking their excitement with a 0. 3.3% did not know or did not answer. Regarding “hope”, 53.9% of the interviewees ranked the intensity of this feeling between 6 and 10, with 20.3% of the interviewees grading it with a 10. 11.0% marked it with a 5 and 31.3% felt no hope or little one grading it between 0 and 4, with 17.1% ranking it with a 0. 3.9 % did not know or did not answer. Finally, regarding “confidence”, 45.4% of the interviewees felt very or quite confident regarding the possibility of Catalonia becoming a new European State, grading their feeling between 6 and 10 (with 11.3% ranking it with 10). 17.8% marked their confidence with a 5. 32.3% felt little or no confidence in this possibility, with 16.9% feeling zero confidence. 4.4% did not know or did not answer. 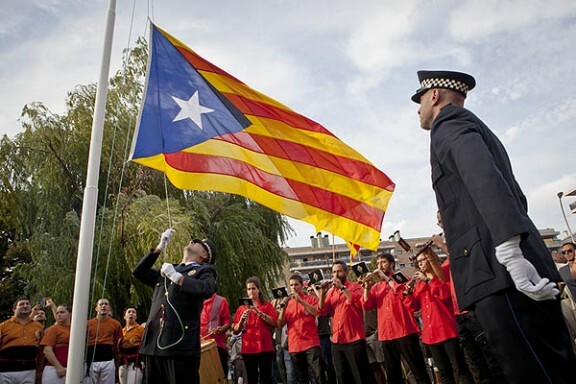 If a self-determination referendum was to be held in Catalonia, would the citizens accept its outcome? 87.3% of the interviewees state they would accept its results, while 9.3% would not. 1.9% do not know and 1.5% do not answer. Is a referendum the best way to decide on the political future of Catalonia? 49.4% “totally agree” and 24.6% “tend to agree”. Both combined show that 74.0% of Catalans would think that a referendum is the best tool to know what the citizens want. Meanwhile, 10.1% “tend to disagree” and 11.6% “totally disagree”, which show that 21.7% of Catalans tend to oppose the referendum. 3.1% do not answer and 1.3% do not know. “Should the Catalan Parliament have greater powers to decide on all the matters affecting the life of Catalonia’s citizens”? 50.5% “totally agree” and 26.0% “tend to agree”. This means that 76.5% of Catalans would like Catalonia’s own Parliament to have greater powers. Meanwhile, 10.9% “tend to disagree” and 7.6% “totally disagree”, which means that only 18.5% of the interviewees would not like the Catalan Parliament to have greater powers. 3.6% do not know and 1.4% do not answer. Finally, a wide majority of citizens consider that the Spanish Government does not treat Catalans in a “satisfactory” way. Only 5.4% of the interviewees “totally agree” that Catalans are being treated in a “satisfactory” way by the Spanish Executive, while an additional 15.1% “tend to agree”. Both combined show that 20.4% of Catalans feel Madrid’s treatment is somehow “satisfactory”. However, 44.0% of the interviewees “totally disagree” with the idea that the Spanish Government treats Catalans in a “satisfactory” way, while an additional 30.0% tend to disagree. This means that 74.0% of Catalans think the Spanish Executive treats Catalans in an unsatisfactory way. 4.2% do not know and 1.4% do not answer.